res 2001 George Stephens. 2m, 22spst, 7c, tub.pn. Gt: 8.8.8.8.4.4.2.8. Sw: 16.8.8.8.8.4.4.III.8.8. Ped: 16.16.16.8. The opening of the organ at St Raphael’s in 1917 may be seen as putting the finishing touch to the building of the church. The Catholic cause in Parkside has been closely associated with both schooling and the Passionist Fathers. 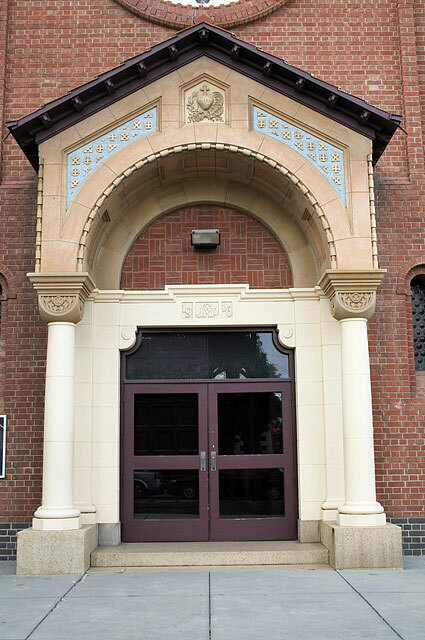 A mission school was begun in Parkside in 1889, which doubled as a church on Sundays but the growth of the suburb in the late 19th century demanded further development. In 1896, the Passionist Fathers were encouraged to come to Adelaide and were placed in charge of Parkside. 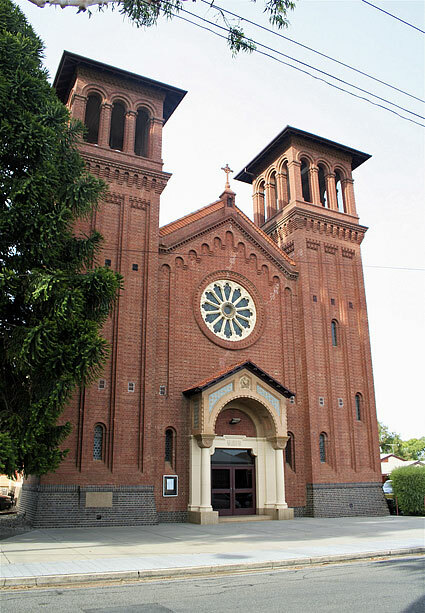 The present church was partly constructed in 1905, and completed in 1917 with towers, entrance hall and pipe organ. 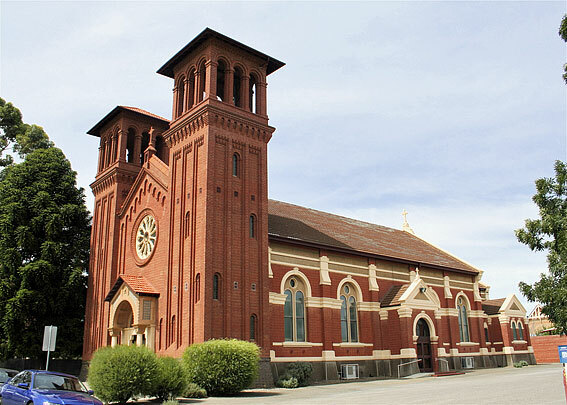 Prior to 1889, the cathedral in Adelaide was the nearest place of worship for the families at Parkside. Children were sent to school with the Sisters of Mercy in Angas Street. A mission school was begun in Parkside in 1889, which was to double as a church on Sundays. The Sisters travelled from Adelaide each day until December 1896 when a branch house was established in Parkside. 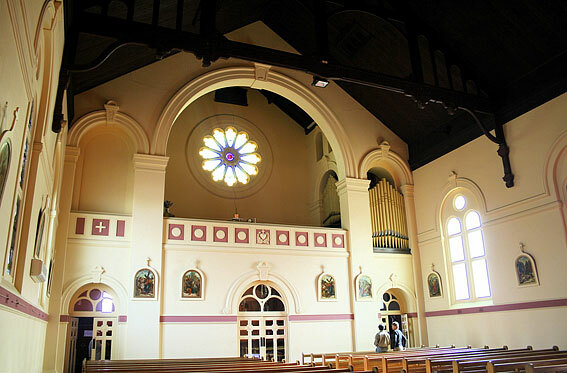 St Raphael’s was built under the auspices of the Passionist Fathers. 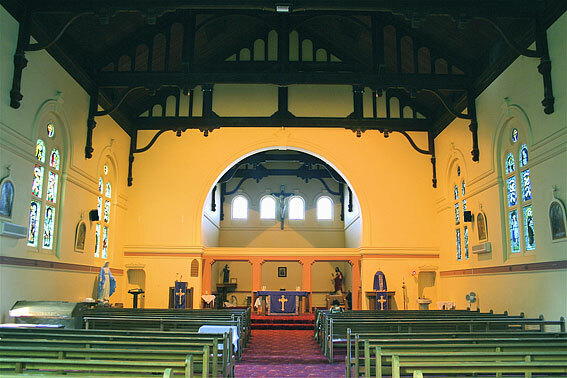 Archbishop O’Reilly had conceived the idea of bringing the Passionist Order to South Australia and in January 1896 they took possession of the property know as ‘The Glen’ in Glen Osmond Rd, now St Paul’s Retreat. They were given the charge of developing the Parkside and Mitcham district. One of the first tasks they undertook was to build a new church.2 After 16 years of worshipping in the school the foundation stone of St Raphael’s was laid in 1905. The organ itself was designed specifically for the space it now occupies and cost £755.6 It was definitely not the preferred space of J.E. Dodd, the organbuilder. 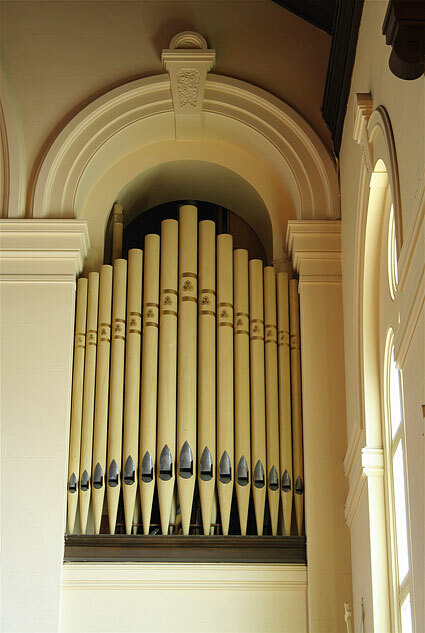 Dodd had conceived of the organ being placed centrally in the choir gallery but did acknowledge the limited space available for the choir members. W.H. Bagot, the architect responsible for the completion of the building, expected to divide the instrument, placing it in the natural chambers to be created by the main towers.7 Dodd argued strongly against this proposition on the basis of cost. The church would have to pay more for an adequate, or be satisfied with an inadequate instrument. Dodd preferred to concentrate on “an adequate instrument placed in one of the towers”. Bagot had pointed out the extra cost of bricks and mortar to create the height Dodd wanted in the chamber. A compromise was reached with Dodd to use one of the tower chambers, the roof of which was to be arched to his plan, and he would meet Bagot’s requirement of a maximum inside clear floor space of 10ft 6in x 10ft6in (3.2m2) but Mr Bagot’s maximum MUST be my minimum.8 Dodd was not happy. Dodd went on to emphasise several points. Father Bertram had to recognise “the instrument will be very shut in”. The builders would have to adopt wind pressures on a scale much above those of the usual church. The placing and exceptional wind pressure made a tubular pneumatic action essential “a type of action we do not usually recommend or fit with an instrument of the size you propose”. This will incur an extra cost of £70. None of these problems were insurmountable, but Dodd (through his son Eustace) was clearly expressing their dissatisfaction at the situation they had to accept. However, Dodd endeavoured to reassure Bertram that “the most careful consideration has been given to the matter in every detail, and we can thus confidently assure you that an instrument placed in the tower gallery, provided it is planned, scaled, and voiced to suit the particular requirements of such placing, with the apertures as given me by Mr Bagot, would be a very satisfactory and highly artistic instrument, giving roo m and range for the greatest scope in tone colours and control.” He recommended the north east tower be used.9 And so it came to be. Whereas the church was opened in June 1917, Dodd was only finishing the instrument in September.11 The opening was arranged for November. There does not seem to have been a report on Weber’s recital of the Thursday following. Further research is required to know how the organ fared over the years. It is believed a storm in February 1946 led to water damage but needs verification. In 1968 the pedal and stop action were electrified by J.E. Dodd & Sons Gunstar Organ Works. 15 St Raphael’s Monthly op.cit.